The location was easy to find. The room was big and relatively cheap. It was very clean and fully furnished. The hosts even provided toiletries during our stay. 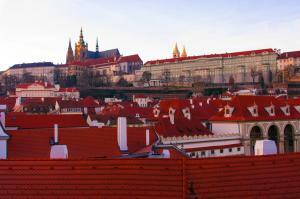 The place was near Prague’s attractions, metro, tram and bus stations. This place is highly recommended. View of castle from all our windows. Location and quiet on fourth floor. Elevator was available. Transfer to train was efficient. Washer was bonus. Water hot. Hair dryer worked but did not heat. Towel warmer worked sporadically. Great location in the city centre. Nice and spacious apartment. Lovely view of the castle. The open space and the cleanliness of the apartment. Very comfortable bed in apartment. The view is outstanding. This was the main reason we selected this apartment. Did not let us down. Location was ideal. Staff that we meet were very helpful also very nice. Would not hesitate to stay here again. Thank you. Remek volt a kilátás a szobából. Minden látványosság gyalogosan megközelíthető. Tömegközlekedéssel könnyen és gyorsan elérhető. A kulcsos megoldás egyszerű és kényelmes. Оперативная коммуникация с местом размещения. Уютно, чисто, расположение великолепное. Общие зоны пользования удобные и чистые. 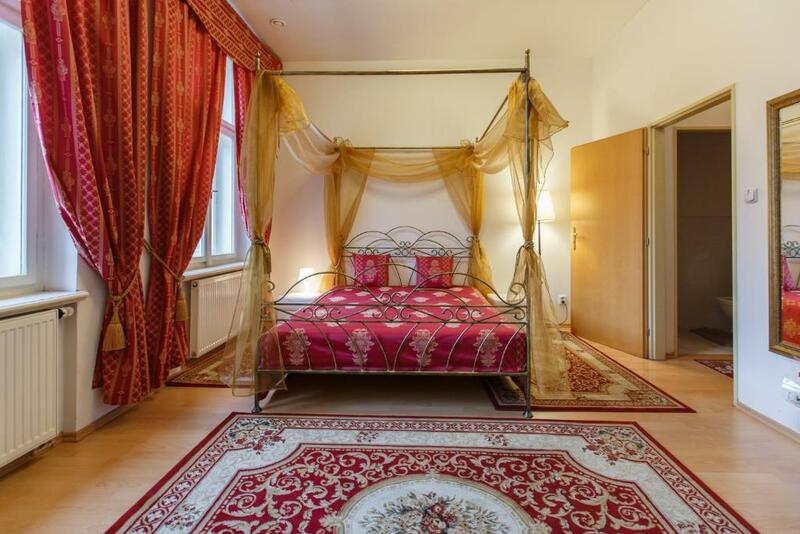 Lock in a great price for Wallenstein Garden Apartments - rated 8.1 by recent guests. 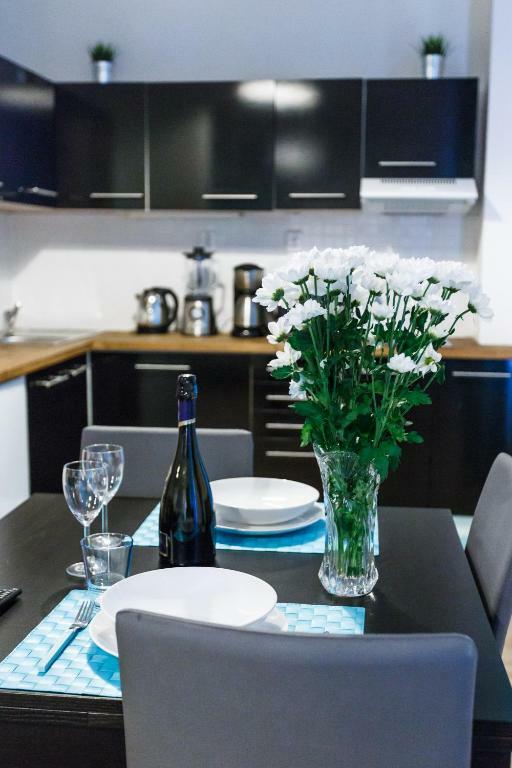 The family-run Wallenstein Garden Apartments enjoys a central location in Prague´s Malá Strana District, 350 yards from Prague Castle, and offers free WiFi, a garden and a bicycle rental. Malostranská Metro Station is 100 yards away. 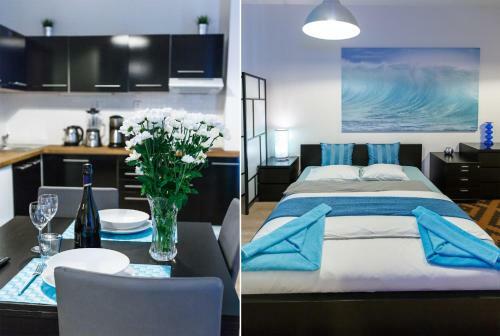 The units at the Wallenstein all come with hardwood floors, a flat-screen TV with satellite channels and a hairdryer. The rooms feature shared bathroom facilities, while the studio and the suite are equipped with a private bathroom with a shower or a bathtub. The property´s restaurant is located 200 yards away and serves traditional Czech cuisine. Various bars and shops can be found on Nerudova Street, next to the Wallenstein. Charles Bridge can be reached within 500 yards and Wenceslaw Square is a 2-minute drive away. On request, luggage storage is possible for a surcharge. Paid parking is possible 200 yards away, while free parking is available 3 tram stops away. 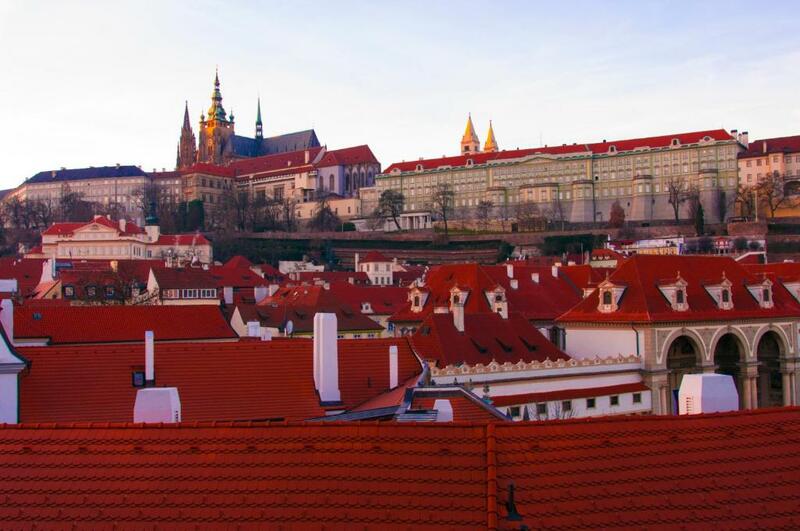 Prague 01 is a great choice for travellers interested in history, architecture and atmosphere. 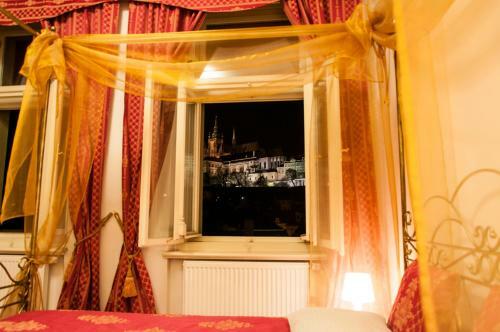 This is our guests' favourite part of Prague, according to independent reviews. Wallenstein Garden Apartments has been welcoming Booking.com guests since 4 Jul 2013. When would you like to stay at Wallenstein Garden Apartments? Super B location, just 2 min Charles Bridge and 7 min to Prague Castle . 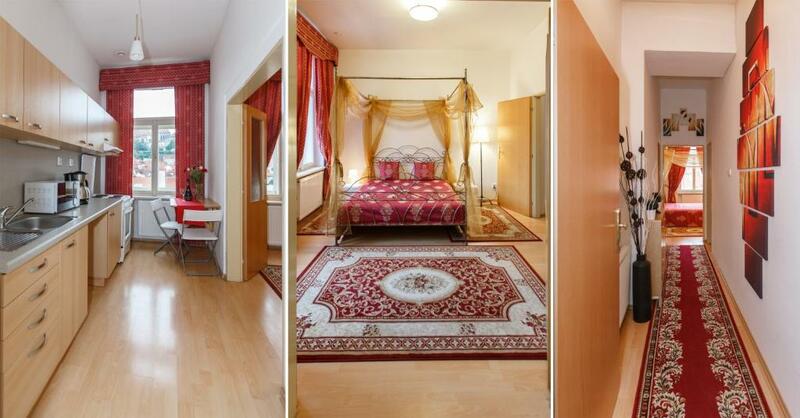 Family-run Aparthotel provides accommodation in 1-,2- and 3- bedroom apartments. Arrivals are also possible after 24:00 if guest's card was pre-authorized well. 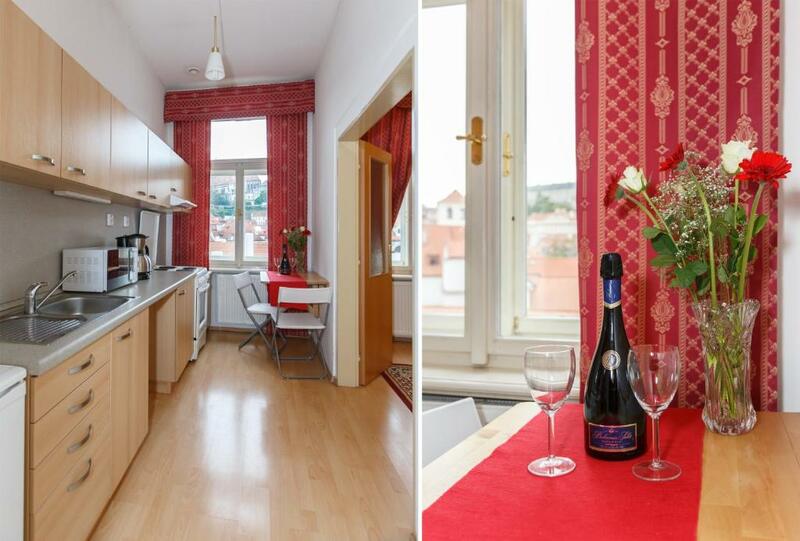 Two steps from Lesser town square, 2 min Charles Bridge and 7 min to Prague Castle . Property surroundings – This neighbourhood is a great choice for travellers interested in history, architecture and atmosphere – Check location Excellent location - show map Guests loved walking around the neighbourhood! House rules Wallenstein Garden Apartments takes special requests - add in the next step! Free! One child from 0 to 3 years stays free of charge when using existing beds. Up to two children from 0 to 2 years are charged EUR 10 per person per night for children's cots/cribs. Up to two older children or adults are charged EUR 20 per person per night when using existing beds. Wallenstein Garden Apartments accepts these cards and reserves the right to temporarily hold an amount prior to arrival. Early check-in and late check-out are only possible for an additional charge upon prior confirmation by the property. Contact details are stated in the booking confirmation. The displayed amount in EUR is indicative only and based on today’s exchange rate. There may be a difference in the room rate if you pay in local currency or by credit card (due to currency exchange rates). Please inform Wallenstein Garden Apartments in advance of your expected arrival time. You can use the Special Requests box when booking, or contact the property directly with the contact details provided in your confirmation. If you require an invoice when booking a prepaid rate, please write this request and your company details in the Ask a question box. To be honest, I cannot say anything negative about the place because it really exceeded our expectations. From hosts, to the room itself, to the price, I could say that we really made a good choice choosing this apartment. The apartment is really hot, doens't have air condicionet. 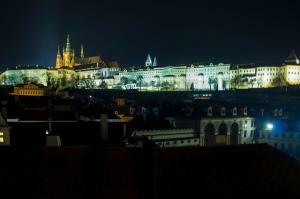 The days that we were in Prague were 30 degrees and the apartment just had a small fan. There is a list of rules and regulations but had to ask the most important how to put the Trash outside ( its on the -1 floor). The carpets were filthy with dust. The apartment is perfect with a view that takes your breath away, deserved to be cleaner. And there is no welcome no thank you for you Stay, no information. Have to Discover all for yourself. The photos on the website is unreal, it was not clarified that bathroom and toilet is common. No facility to store baggage if decided at last moment. The baggage storage information has to be in advance and at a steep cost of euro 20. The beds were not comfortable and the pedestal fan could not reach the other bed. Towel seems very old. No towel at wash basin. Overall cleanliness was not up to par. Dishes and cutlery needed washing before use. Corners of rooms were cobwebby or dirty. Apartment smelled of cigarettes,filthy (marked) bed sheets. Very poor cleanliness. Old, dated, needs re-decorating. No character, not welcoming. Bed was good, warm water in the shower/bath. The cover of electric stove is defective. The location is the best. We just walked to all major tourist attractions. The room is very basic but serves its purpose. It has a washing machine that was very useful for us as we came from zurich and we have to wash a lot of clothes. The groceries are 10 min walk away. Thus we were able to utilize the kitchen for our breakfast and sometimes dinner. The room is spacious, my toddler was running around it. The location is in a safe place as it is near a police station. only very light blankets, feel cold during the night. The fact that trams are passing by the windows. But I could live with that. Hard to comment on anything that we did not like. As I said earlier we would stay here again without hesitation. Final bill was more slightly more than expected - probably due to being given a poorer than market Euro to GBP exchange rate. Really nice property slightly spoilt by quality and availability of bed linen and towels. Bathroom sink plunger fault reported, but was not fixed during stay.